Red Dwarf. Radio Show. iTunes. And… CD! Hello. I’m John Hoare. You may remember me from such websites as Ganymede & Titan, Noise To Signal, or, erm, asylum.acornarcade.com. Sorry for the lack of updates round here – more of which in a bit (quite literally) – but first we have to get updated on at least the big piece of news at the moment. 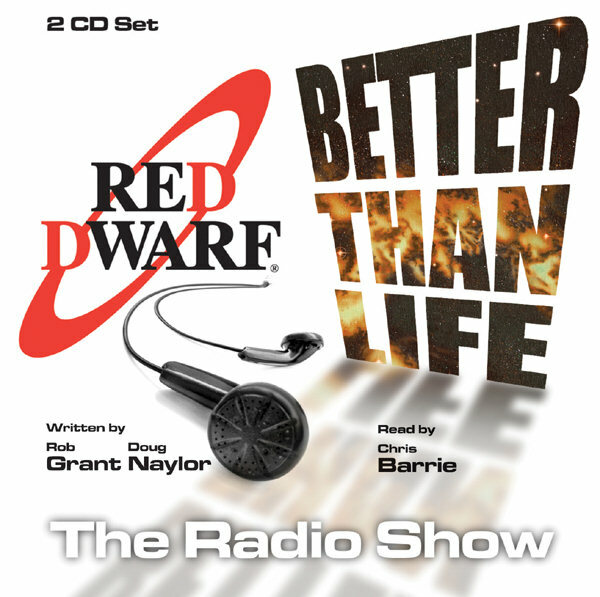 Which is, as you are all fully aware of by now, the release of The Red Dwarf Radio Show on iTunes – available RIGHT NOW. What you probably don’t know (unless you read our headline, you sneaky good-for-nothing bastards) is that Amazon are now listing a CD release, for September 2008! Now, we all know that release dates can slip, and indeed maybe they’re just flat-out wrong, but still – if you want the release on CD, then it looks like you might get your wish. Back to the iTunes release for now, then. There’s a debate in our forum as to the merits or not of iTunes, and that conversation is probably best kept there. (It’s perhaps worth pointing out though that if your worry is to do with iTunes itself, or just the fact that you really want to own a nice CD you can put on your shelf, then that’s a topic for discussion – but if you’re simply worried about buying files with DRM, then worry no more, as the files are free from any of that kind of nonsense.) But what about the other aspects of the release? Something that’s gone pretty much untalked about is the actual cover art – and maybe that’s because, as an iTunes release (currently, at any rate), everyone’s aware that it’s going to end up rendered stupidly small anyway. But for what it’s worth, I think they’re great – evoking the Just The Shows covers in their beautiful minimalism, and yet at the same time being really striking. The title text really is gorgeously rendered. Perhaps the only criticism is the headphones image – it’s obviously meant to represent the fact it’s an audiobook, but I’m not sure it works quite right. Perhaps a microphone would have worked better, to tie in with it being the Radio Shows? But that’s nitpicking. Let’s hope the same art is used for the CDs themselves – I can’t imagine it won’t, as it’s too lovely. As for the release itself – the history of all the Dwarf audiobooks can get rather messy, and it’s worth a good article of its own one day. Suffice to say that both Infinity Welcomes Careful Drivers and Better Than Life exist in three different forms – all three of which were released on audio cassette in the 90s. 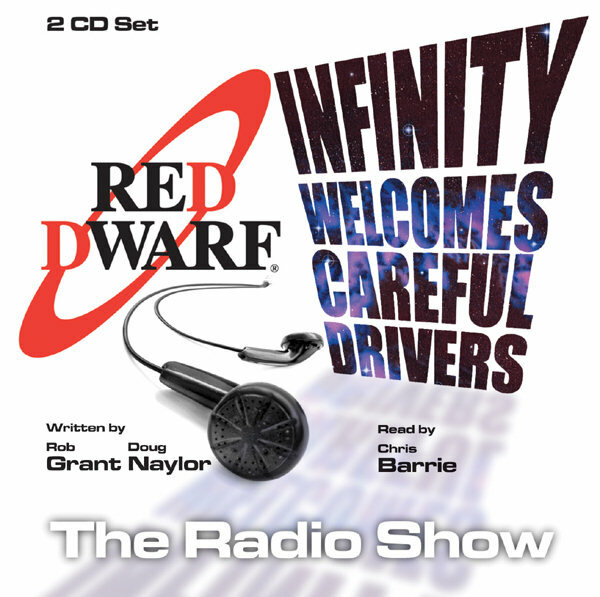 Firstly, the unabridged versions, secondly, the abridged versions, and thirdly, what’s released here – The Red Dwarf Radio Show ; the abridged versions of the books, but with some changes and added sound effects. This was commissioned and broadcast by the BBC World Service, but also released on cassette – which Laughing Stock’s Mike O’Brien misses out in his otherwise-excellent history of the audiobooks. It’s interesting to note also that the two Radio Show cassette releases are still available on Amazon – so maybe they’re not quite “languished in audio stasis”, although it’s perhaps worth a bet that there aren’t many copies left! Although, in an odd sense, perhaps they’ve been languishing regardless. In this day and age, it’s odd that until now, the only copies available were on audio cassette – it’s the equivalent of the TV shows only being available on VHS. It’ll be lovely to own them in such nice quality. Let’s hope, if these releases are a success, that we also get the unabridged versions re-released as well – that’s what I’d really love to own. And a release of the normal abridged versions? Or is that the point where it just becomes obsessive and scary? One Response to Red Dwarf. Radio Show. iTunes. And… CD! Personally I’d love to see an unabridged release make it onto iTunes. $9.99 for half of an abridged audiobook is a bit steep to me (although I paid it anyway, because I am Made Of Disposable Income).